Jay Kreimer. Trees. 2012. Hollow core doors. Wendy Weiss and Jay Kreimer presented the installation Against the Sky at the Museum of Nebraska Art in Kearney. 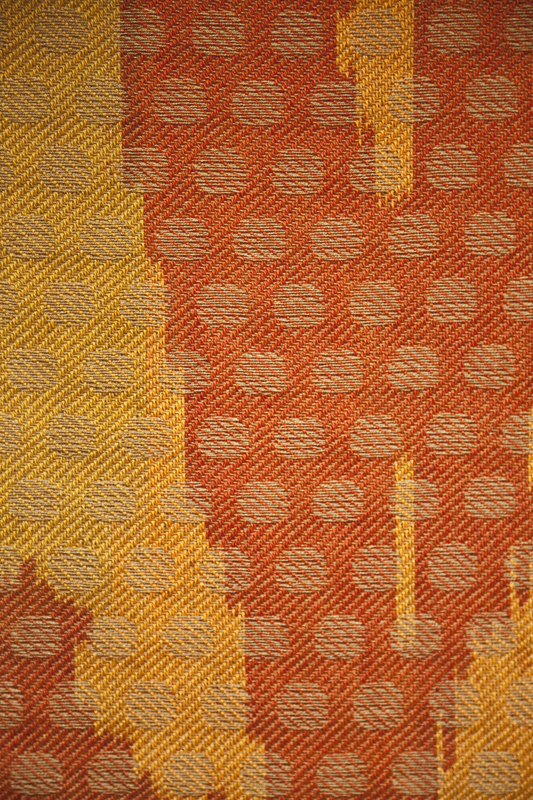 The show featured 5 weavings by Weiss made with cotton, wool, monofilament, all dyed with locally sourced natural dye. 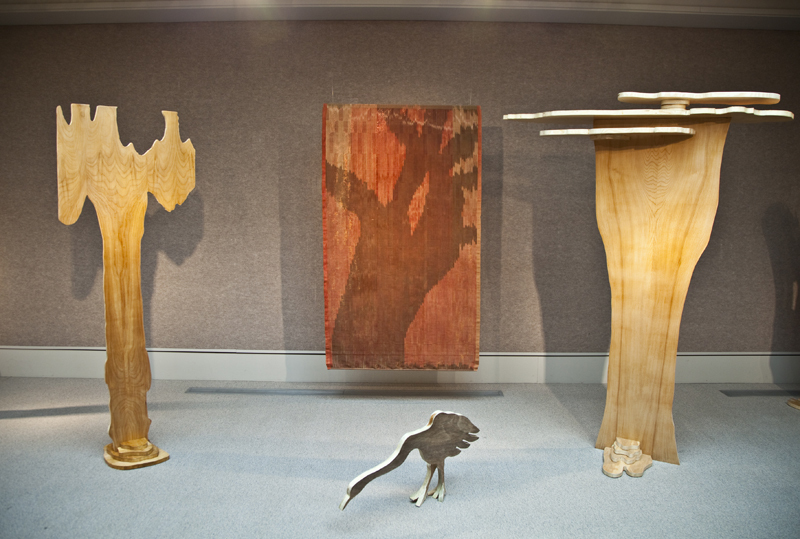 Kreimer built 7 wood sculptures, as well as a crow on a stump and a Sandhill Crane, and a platform for the floor weaving. He also created a motion-triggered sound track that is composed of bird and wind sounds. The show was part of the “Nebraska Now” series and was on view until April 8, 2012. The Museum of Nebraska Art is located in downtown Kearney, a short distance from I-80.